Reese Mashaw grew up in Chesapeake, Virginia and was engaged in church from a young age. His mother served as an elementary school teacher and his father for the State Water Control Board (Not the CIA! ), but Mashaw felt a calling in high school towards full time ministry. After graduation, Mashaw began his journey in ministry at Liberty University. There, Reece studied Biblical Studies in both his BA degree and MFA. Reece pursued his passions for leading others at ministry camps, where he met his wife, Erin. Between serving at Youth Quest, a ministry for high school and college students, leading worship, and supporting churches with graphic design, Reece was building a foundation for his current position as Director of Guest Experience at North Point Community Church. At North Point, Reece quickly rose from an associate position to a director role in a few months time. Its here that he enacts his mission to create a personal journey and connection for each and every one of his volunteers. 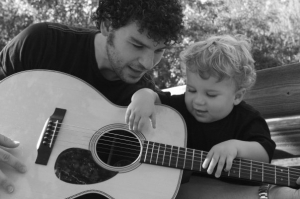 Father of four, Reece finds joy in teaching ministry and playing music.